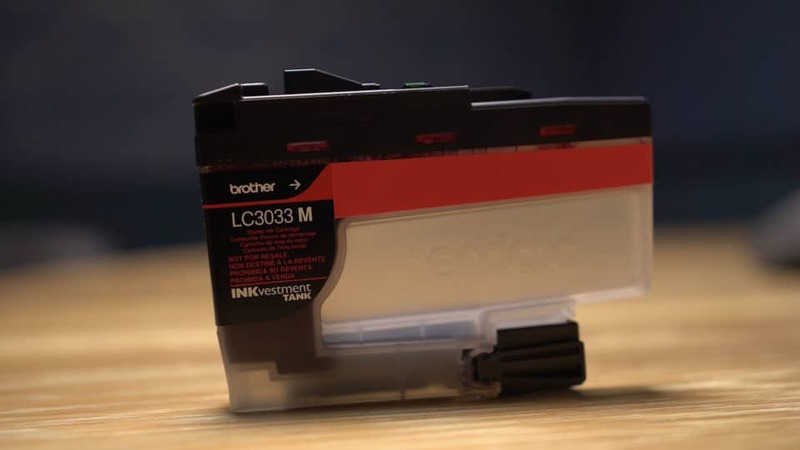 Brother reached out about a new type of printer they’ve launched that I think addresses a severe pain point that everyone has with printers: the ink. 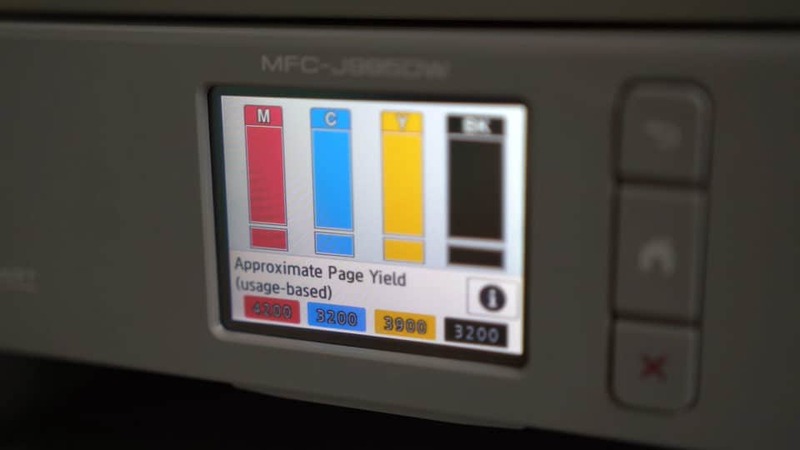 This is the Brother MFC-J995DW (printer companies still aren’t great at naming their products, fair). It has all the standard multi-function printer features you’d expect nowadays in a top-of-the-line printer: multi-page copying and scanning with a 20-sheet automatic document feeder, automatic duplex two-sided printing in color and black & white, 150 sheet paper tray that’ll hold up to legal sized paper, WiFi & cloud printing services enabled (AirPrint, Google Cloud Print 2.0, etc. ), etc. All of which is great, of course, but there’s one feature that I’m particularly interested in: the INKvestment Tank. The printer uses these high-yield, high-capacity ink cartridges. Now, you might have seen some printers that have ink tanks that you have to fill with squeeze bottles that last a long time but are a pain to use, and you’ve probably seen your standard printer that uses cartridges that are way easier but you have to replace constantly (and usually at inopportune times). Well, these INKvestment ones are a mix of the two: more ink like the tanks, but with the ease of cartridges. Now, the crazy thing here though is just how much ink they provide. According to Brother, one set of cartridges (there’s one for black and then one for each of the three colors magenta, yellow, cyan) will last up to a year. Also, the printer includes a set in the box, so when you buy it, you’re all set for up to a year’s worth of printing. Now, they say this is based on an average of 150 pages a month, which sounds reasonable, but honestly, since we live in such a digital world, I think it’s way more than a year’s worth for me. Here me out. 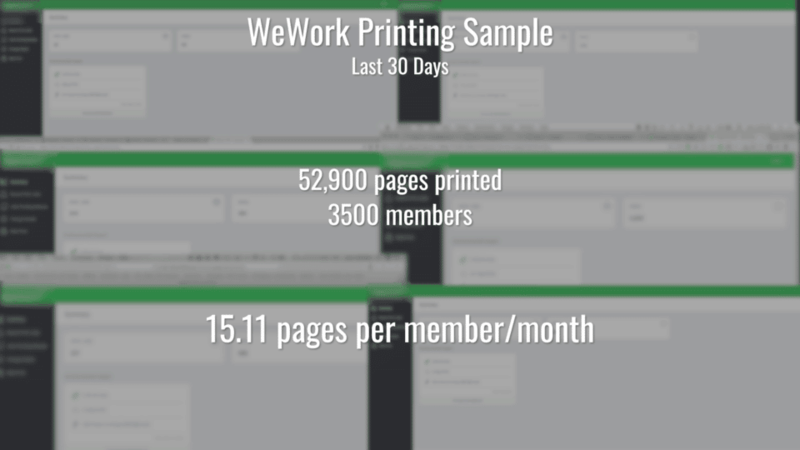 I work in a WeWork if you didn’t already know from past videos, which is a coworking location where people in all different industries and businesses worth under one roof together, so I decided to check my printing log. WeWork was cool enough to give me data on the printing in the building and here’s what happened. So, if at an average of 150 pages/month, this printer gets you up to one year’s worth of printing, at about 15 pages/month (the average for my building), it’s, in fact, a printer that comes ink that could last you more than a year. And at $199 for the printer including the ink included, you get a great all-around multi-function printer, copier, scanner, etc. Lastly, there’s one more thing I need to mention on this printer that blows my mind that I haven’t seen this on more printers. If you do ever start to run out of ink in the printer it has a readout for how many pages you have left approximately. Every other printer, I’ve ever used, just shows ink levels, which don’t mean anything to anyone. It surprises me, considering how easy of a calculation this must be for the printer to do, that we don’t see more of it. Now, when you do run out of ink, you can actually find ultra-high yield replacements for as little as $0.01 per black copy and $0.05 per color copy, so even if you are at the higher end of the printing spectrum it still is pretty darn cheap compared to normal cartridges. There you go. You can head here for the cheapest place I could find the printer if you’re interested and also, shout out to WeWork for helping me with this video, you can check them out here (and even get a discount if you use this link).